Recently, I sent a request out to join a group of people in an online social group. At first the experience was incredible because people there seemed to like the same things I liked. I chatted and talked and gave my opinion to anyone who had the opportunity to read it. I was so excited! Normally I post interesting tidbits of scientific research and innovation on my facebook page and you can literally hear the internet crickets calling for mates. This was the opportunity I had been waiting for… or so I thought. After a short while I realized something about this group. They did not really purport to be the people they had advertised themselves to be and so I did not really fit. Intelligent rational discussions about a topic quickly deteriorated when people felt attacked because there were dissenting voices and no one could be heard. It literally took Friday, Saturday and Sunday for me to be DONE! I find that a part of me is a little sad to see that once again, there isn’t a community of people with whom I would fit snugly. I’ve thought of creating my own, and maybe I will when time permits. 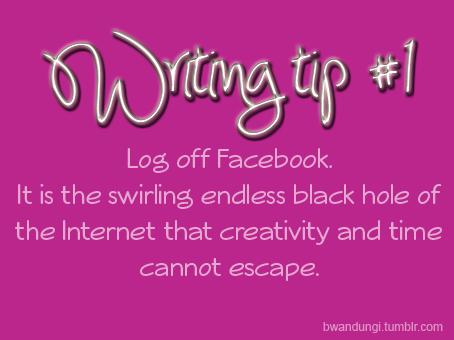 For now, here is one tip from me to you.